Interest in maritime art and art inspired by the sea ebbs and flows, but it seems that we have reached a tidal wave. 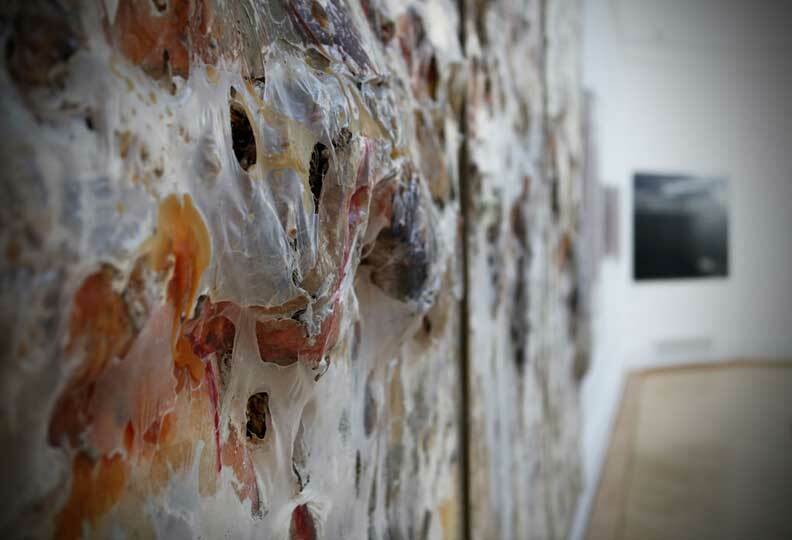 It has become an ubiquitous subject on the exhibition circuit, with recent offerings including ‘Turner and the Sea’ at Royal Museums Greenwich, ‘Aquatopia: the Imaginary of the Ocean Deep’ at Nottingham Contemporary and Tate St Ives, ‘Ship to Shore: Art and the Lure of the Sea’ in Southampton and Tania Kovats’ ‘Oceans’ at the Fruitmarket Gallery in Edinburgh. 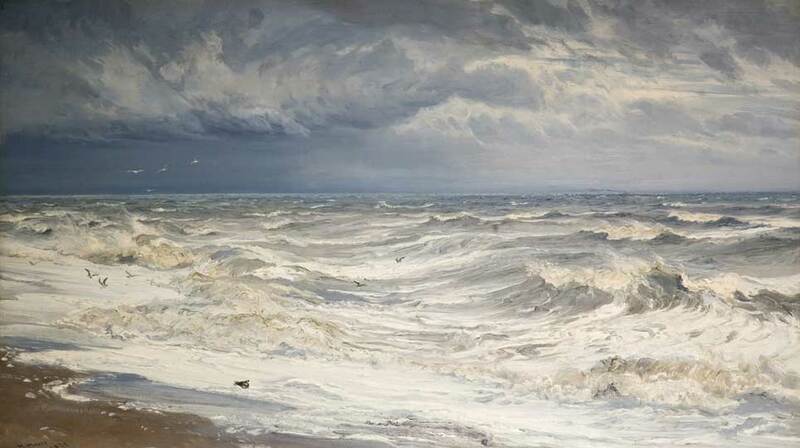 The latest, ‘The Power of the Sea: Making Waves in British Art, 1790–2014’ (Royal West of England Academy, Bristol), explores the enduring fascination for the sea over three centuries, demonstrating at once a continuity of expression – the attraction for the beauty and vastness of the oceans – and an evolving artistic gaze. In the 19th-century room, the sea is shown as a giver of both life and death. Walter Langley’s Danger! Scene in a Cornish Fishing Village (1889) expresses this contrast poignantly, resting its focus on grief-stricken fisherwomen whose husbands have been lost at sea. The sublime association of terror and aesthetic pleasures is at play in JMW Turner’s Rough Sea with Wreckage (c. 1833) and Francis Danby’s Shipwreck (1859). By contrast, the likes of Henry Moore and David James scrutinise the structure of the waves. The room devoted to the 20th century dwells on the importance of the coast as national boundary (as seen by Paul Nash or John Piper), or explored in more abstract terms by Peter Lanyon and Joan Eardley. The show is at its best, however, in the galleries devoted to contemporary artists, where the variety of media and approaches shows how strong the pull of the sea continues to be. Susan Derges’ fluid, immersive Shoreline 5 October (1998) cohabits harmoniously with Terry Setch’s lumpy, almost sculptural Above and Below the Tide triptych (1990–91), made of flotsam regurgitated on the shore. Peter Matthews creates nervously textured, scoured panels while literally drifting in the Atlantic. For these artists, the sea is not only the subject but the medium of their work. Jethro Brice’s Succession (2010) reminds us that the oceans remain untamed, as typhoons and rising levels have devastating consequences on human life. Regrettably relegated to the basement, Jo Millett’s Overflow (2014) observes the affinity between moving water and moving image, with an evocative, mesmerising video installation. Seas and oceans, omnipresent and powerful, dominate both Earth’s depths and surface. 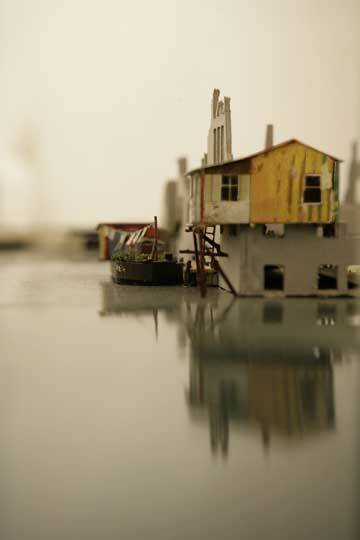 They frame, shape and sculpt the shores on which we live, sometimes precariously. A cultural place as well as a natural space, surrounding the coasts of Britain and determining the livelihood of its inhabitants, the sea remains central to British identity and – as this exhibition shows – creativity. 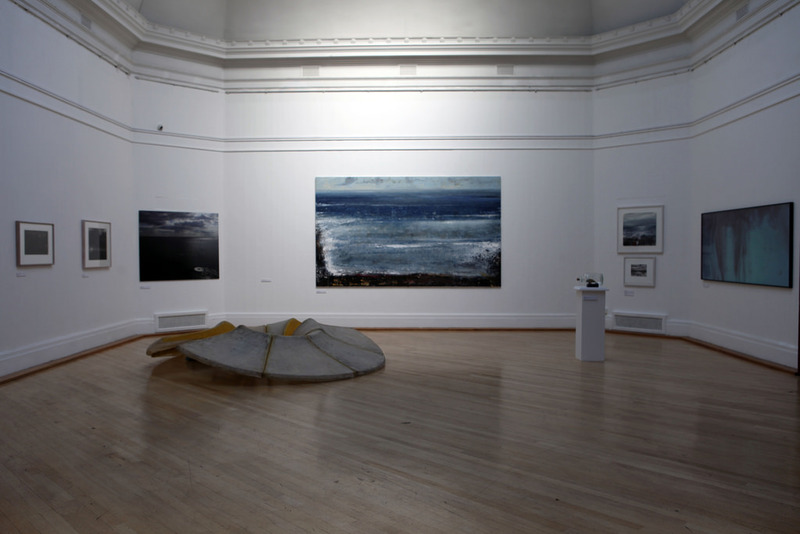 ‘The Power of the Sea’ is at the Royal West of England Academy, Bristol, until 6 July.